Found in a wide variety of religious traditions, an altar is essentially a physical structure that serves as a place to honor deities, spirits, and/or ancestors; to make ritual offerings; and to keep sacred objects safe and visible. In Wicca, the chief purpose of the altar is to serve as a focal point of ritual celebrations at the eight Sabbats and thirteen Esbats (Full Moons) on the Wheel of the Year. However, the Wiccan altar can also be used at any other time, such as during spellwork, meditation, or prayer. Since Wicca is primarily practiced in the home (or outdoors), the Wiccan altar is often tucked in a corner of a room, and pulled out to stand in the center of the sacred circle during ritual. The ritual tools used at Sabbats, Esbats, and during spellwork may reside on the altar at all times, or may be stored in a separate place when not in use. The tools of ritual are symbolic items representing the aspects of Nature that Wiccans recognize as contributing to the circumstances of our existence, including the four Elements, the four directions, and the Goddess and God themselves. These tools vary according to the tradition being followed (such as Gardnerian or Alexandrian Wicca), but typically include, at a minimum, statues or other representations of the Goddess and God; one or more candles; a chalice; a wand; an athame (ritual knife); a bowl of salt, sand or soil; a dish of water, and a bell. What does a Wiccan altar look like? An altar can take many forms, and depending on your circumstances, might be a permanent structure in your home, or might be a piece of furniture that does “double duty” as a desk or table. The only real requirement is that it have a flat surface. Many Wiccans prefer a round shape, which lends itself to easier movement within the sacred circle, but square or rectangle-shaped altars are also fine. Ideally, the altar should be made of natural materials, i.e. wood, stone, or—if need be—metal. Wood is the most traditional and generally the easiest to come by. If you can find oak or willow, these are ideal materials for a wooden altar. Of course, many people don’t have the luxury of purchasing a new piece of furniture just for the purpose of having an altar. Don’t worry about it if you need to temporarily transform a coffee table or other household item for your rituals. 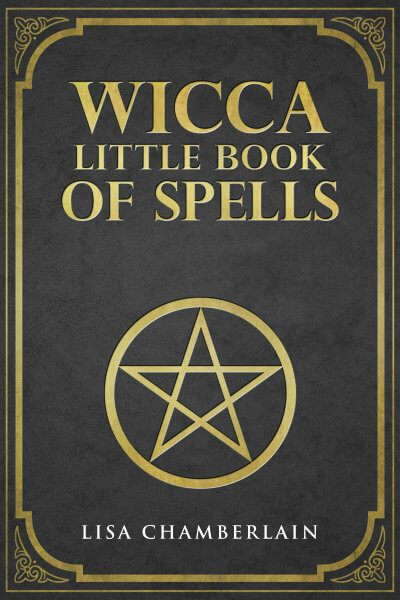 (You can also pick up a reasonably-priced “Wiccan altar kit” online, should you wish.) Remember that any physical object charged with magical energy will contribute power to the ritual work. But the closer to Nature you can get, the better, so try to avoid working plastic or other synthetic materials if you can. Along these lines, if you’re able to hold your rituals outdoors, you can use a large rock, an old tree stump, or some other natural feature as your altar. In fact, for many Witches, this is the ideal situation! First, you can decorate your altar with colored scarves and/or or other fabric. This is particularly useful for transforming ordinary furniture into an altar with magical ambience. Many Wiccans like to decorate their altars in correspondence with the season or with the particular purpose of the ritual. For example, at Yule you might place bright fir leaves and holly berries around the corners of the altar, or scatter flower petals in honor of a Spring celebration. Any favorite crystals or other stones, images of patron deities, etc. are also fine to include on your altar, provided you have enough room for the ritual tools as well. As for the exact placement of the tools, there are several different possible layouts for arranging your altar for ritual, some more elaborate than others. As always, these vary according to different traditions, but there are a few common characteristics. One type of layout divides the altar in half and places all tools associated with the Goddess and her Elements (Earth and Water) on the left, while the right half is devoted to the God and his Elements (Fire and Air.) Another layout places the God and Goddess representations in the center of the altar, with the rest of the tools arranged around them according to the Elements and the four directions. This means that the tools associated with Earth, for example, will face North, while those associated with Fire will face South. While many practitioners closely follow established patterns for setting up the altar, others—those known as “eclectics”—will work more intuitively, using patterns that resonate with their personal experience of the deities, tools, and symbols. Some prefer highly elaborate setups, while others take a pared-down approach, with as few as four or five objects on the altar. Of course, space is a big factor here, so if you find that room is limited on your altar, allow that to be a guiding principle in designing your ideal layout, no matter what tradition you may be following. For many aspiring Wiccans, setting up an altar can seem intimidating at first. 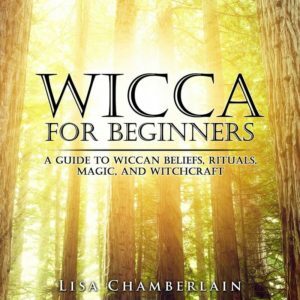 Depending on what you read, it can seem easy to make a mistake, or to feel like you’re not fully following Wicca if you don’t have everything “just so.” This is a good time to keep in mind that the Goddess and God aren’t concerned with the size or quality of your Wiccan altar or the number of candles you can fit on it. So don’t ever worry about having a permanent, elaborate, ornately decorated altar in your home. If you’re able to, that’s marvelous, but it’s every bit as effective to use the kitchen table. And if your living space doesn’t allow for a full-on sacred circle ritual in the center of the room, that’s okay, too. Work with what you have. Don’t be afraid to start small. Wicca is about evolving spiritually over time, and your altar can evolve along with you.